Being a 1½ story, clean recently updated home with 8 rooms, 4 bedrooms, and full bath. 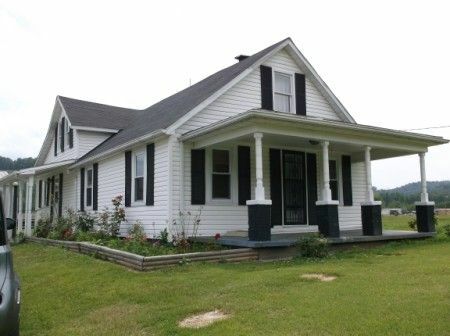 Home contains central A/C, County water, septic system, an eat-in kitchen which has an abundant top and bottom cabinetry with built-in dishwasher, refrigerator, and electric range. The property also offers a nice, detached garage-workshop, 3 stall and hayloft livestock barn with equipment storage bay, fenced paddocks, nice stocked fish pond, all situated approx. 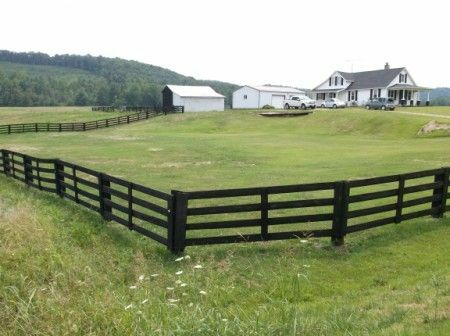 10 miles from Chillicothe, Ohio on a beautiful, mostly level to rolling 14.25 acres. Truck: 1993 GMC 3500 dually, gas, auto. transmission, 2 door white exterior w/gray interior, vinyl seats & floor, A/C, AM/FM radio. Trailers: 1986 30’ ALUMA-LITE Gooseneck 3 horse slant trailer w/dividers & tandem axel, ID # 805GH65254T864, MFG 1-8-86, GVWR 10,000 Ibs, GAWR 2/axels 5,200 Lbs each, 55” X 15” tires & 15” Rims 65 PSI; flatbed gooseneck trailer w/ tandem axel, dove tail & drop down loading ramps, approx. 20’; gooseneck trailer, no wheels w/ wooden floor (bad), Alum. for scrap, approx.. 20’ w/tandem axel. Carts: WINESBURG CARRIAGE 4 wheel yellow & black horse driven cart, one or two person w/back upholstered seat, one horse w/leaf springs ; 2 person horse sulky w/green upholstered seat, 1 horse, 2 wheeled. Great States reel push mower; 3 pt. PTO driver post Auger/digger w/ ASV 12” Auger & 8” Auger attachment; Case - Osborn old fashioned steel wheel, horse drawn, pull type sickle mower approx.. 3 ½ ft. sickle; weed eater; pressure washer; small pull type lawn/garden utility cart. Tools: Hand tools; sockets; wrenches; drill press; torches; gauges; chainsaw; jack stands; creepers; anvil; nails & screws; gas cans; small wooden step ladder; WERNER aluminum step ladder aluminum Ext. ladder Approx. 20’; engine puller; engine stand;Assorted fence supplies (t-post & barb wire); 100 Gal. Rubbermaid livestock watering tank; round bale “horse” feeder; horse tack ( bridles, halters, blankets, etc. ); 25 Gal. ATV mount on sprayer; lawn roller pull type. Appliances: KITCHEN AID, side by side refrigerator/freezer w/icemaker; SPECTRA oven range. Household Goods: Oak coffee table; Lea 6 drawer dresser; Set of 2 lamps. 3.5 HP/10 Gal. Shop Vac. ; BISSELL flip-it hard floor cleaner; cups; CORELLE dishes; records. Real Estate Terms: Minimum Bid $45,000; $5,000 down at time of sale in cash/check with photo ID; balance & possession at closing; sold as-is; offered free & clear prior to closing on/before Nov. 6, 2012; Jeffrey R. Griffith, Atty., conducting closing, 114 W. Main St., McArthur, OH 45651, 740.596.5291; no buyer’s contingencies exist; taxes are prorated to day of closing. No warranties or guarantees given, expressed or implied. All information provided is to be utilized only as a guide. Buyers are responsible to conduct any inspection, inquiry, investigations and due diligence regarding to property. Buyer agrees and understands that the seller makes no warranties or representations of any kind either expressed or implied as to the condition, quality, and merchant ability of fitness for a particular purpose of the real estate or any part thereof and/or serviceability for the same. The agreement of auction is solely between buyer & seller. Stanley & Son, Inc. and its agents are exclusive agents of the seller. Any announcements made only by the auctioneer from the podium during the time of the auction will take precedence over any previously printed material and/or any other oral statements made or implied. No liability exists regarding the information contained in any printed matter for its accuracy, errors or omissions. Bidding is open, just call out, raise your hand or watch the ring personnel…they will assist you and try to get answers to any questions you may have prior to bidding. Personal Property Terms: Personal Property terms: Cash or check with photo ID, paid in full at time of sale; all merchandise must be removed day of sale; everything sold as-is. Statute of Limitations: Any action or suit of any kind must be commenced within one year from the date when the cause of action or suit occurred or it will be forever barred. The Right of Action or suit will begin to run on the date of breach, damage or injury is sustained & not when the resulting cost, damage, harm or loss is discovered. This Agreement will be exclusively construed & governed in accordance with the laws of the State of Ohio, without regard to its conflict of Laws Principles. The exclusive jurisdiction & venue for any controversy or claim between the parties shall be the State of Ohio, County of Ross, City of Chillicothe, by binding arbitration. With regard to personal property at the auction: The auctioneer has arranged the merchandise for the auction and directs that it not be altered, moved or disturbed in any way by any person other than normal inspection at the spot where the merchandise is located. The auction staff will assist anyone who has a question or request about a lot or item. Any instance of theft or vandalism will be prosecuted to the fullest extent of the law.